Rami Malekis still in awe at landing the famed role of Freddie Mercury in the film Bohemian Rhapsody. The star dished to E! News' Ryan Seacrest about how humbled he continues to feel about his role in the mega-popular movie about the band Queen. According to Rami, he never thought he had the shot at the role since he played such an "alienated character" in the show Mr. Robot. Nonetheless, he said the producers still thought he had what it takes to play "one of the most audacious front men in history." But that doesn't mean landing the role wasn't a challenge. 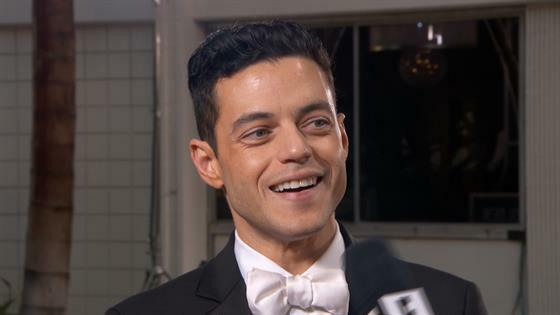 The Golden Globe nominee said the creators truly put him through what Freddie Mercury experienced to get a feel of if he could depict the larger than life star. He auditioned, danced, sang and even held a mock press conference! But the hard work paid off because Queen front men Brian May and Roger May signed off on his role in the hit film. And the producers agreed, which Rami thinks is because of the "mischief I have going on in my eyes." Even Ryan believes that Rami seemed to "destined" to play the iconic performer. He is one of the lucky nominees for Best Performance by an Actor in a Motion Picture — Drama, but it sure is a tight race! 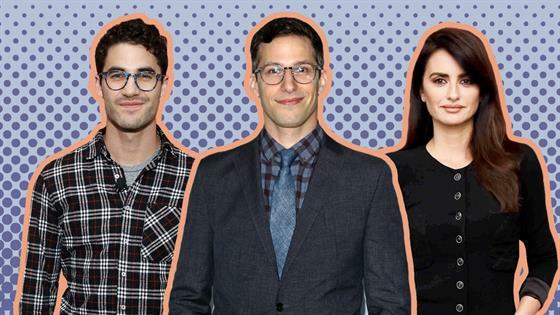 To see who else is nominated for the 2019 Golden Globe awards, check out the list here!